Beautiful golf course home in the heart of Canadian Lakes - a private community of homes, lakes and recreation. This home is situated on the second hole of the Royal Golf Course, near the main amenities and clubhouse. The floor plan offers all the things every buyer dreams of - ranch style, large open floor plan, large master en-suite, three bedroom, two full baths and one half-bath, contemporary stainless appliances, laminate floors, gas fireplace visible from all main living areas, walk-in master closets, first floor laundry, daylight lower level for extra living, storage, or workshop space. This home is well appointed and has the WOW factor when you walk in! 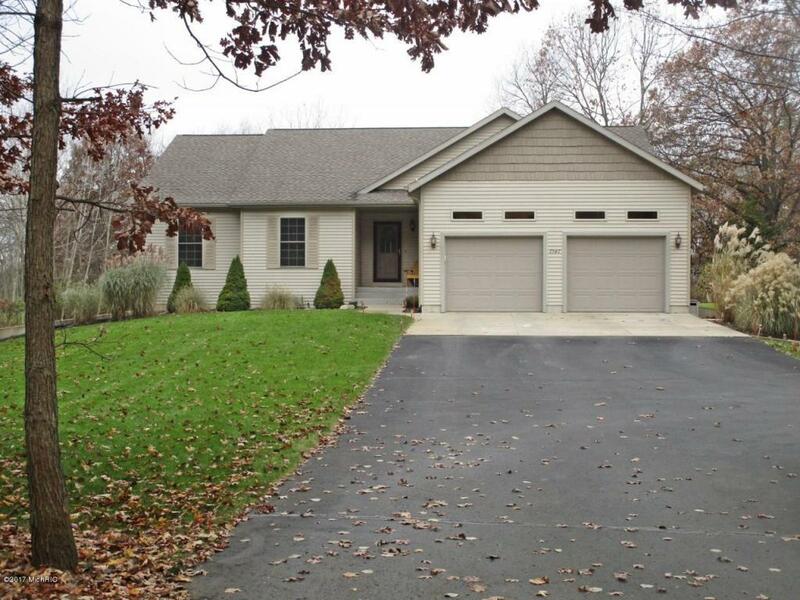 Two-car attached garage with storage, full basement, large deck and yard. This one is not to be missed on your tour of homes.